Elon Musk had himself a day Thursday. 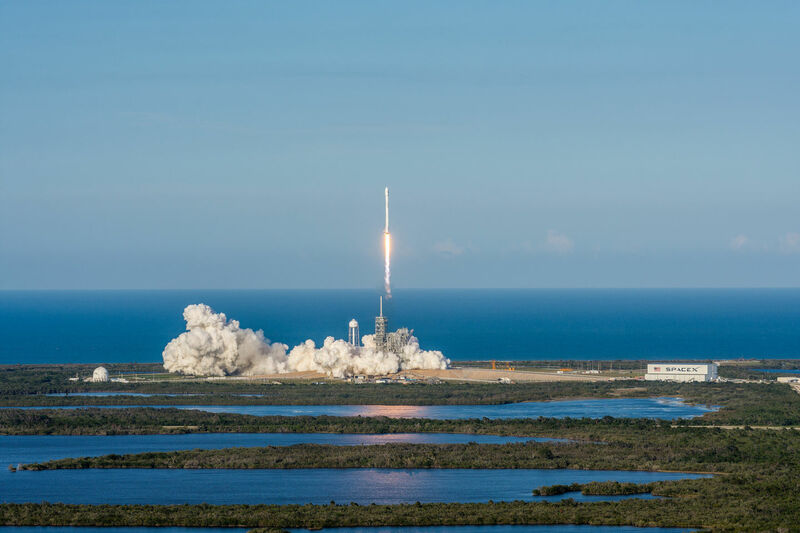 For the first time in history, his company launched a fully reusable first stage of an orbital rocket. Then, for good measure, SpaceX landed that rocket for a second time on a drone ship in the Atlantic Ocean. Finally—because why not, when you're on a roll—he attempted to safely return the $6 million payload fairing at the top of the rocket. Even that met with at least partial success. "This is a huge day," he commented later. "My mind's blown, frankly." Many minds were blown on Thursday as the 10-story tall first stage launched for the second time, hefting a 4,300kg payload on its way to a geostationary orbit about 36,000km above the Earth, and then returning to the planet. Blue Origin has done this with the much smaller, suborbital New Shepard rocket. NASA's space shuttle was mostly reusable—but also the product of a multibillion government program. On Thursday a private company, having invested more than $1 billion of its own funds, reused a large, complicated rocket. Thursday, Musk clearly felt he had finally pushed spaceflight across the rubicon of reusable rocketry, and permanently changed the aerospace industry, and he said he is now confident the company can reach its goal of 24-hour reusability. "So it has been 15 years to get to this point, it took us a long time," he said. "A lot of difficult steps along the way. This is going to be ultimately a huge revolution in spaceflight." For some in the aerospace industry, such talk does not seem hyperbole. Bobby Braun, who served as NASA's first chief technologist and now serves as dean of the College of Engineering and Applied Science at the University of Colorado-Boulder, said the achievement ranks high in the annals of aviation and aerospace feats. "I think that 50 years from now we'll look back on this day and that's say where commercial space travel began," he said. Braun compared Thursday's reflight of the Falcon 9 rocket to the commercial debut of Boeing's 707 aircraft. This plane, a gamble by Boeing to translate its success as World War II aviation contractor into private air travel, made its first commercial flight from New York to Paris in October 1958. Within a decade air travel exploded in popularity across the country, as metro areas built airport terminals, runways, baggage handling services, and more elements of modern commercial aviation. Reusable rockets have the potential to fulfill the same role for space transportation, Braun said.